OK so here goes. Before I start I want to say I am by no means an expert on doing circles. The method I use has striking results but is not supposed to produce perfect matching circles. So if that is what you are after, this tutorial is not for you. 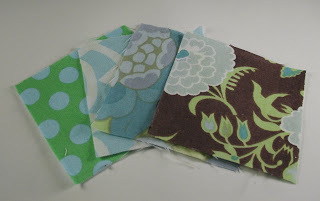 First decide what size you want your finished block to be. 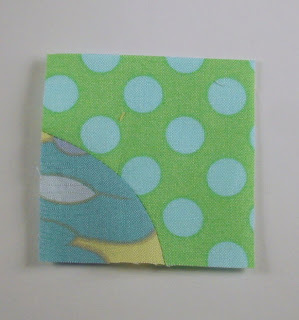 Then divide that into 4 smaller blocks and add seam allowances. 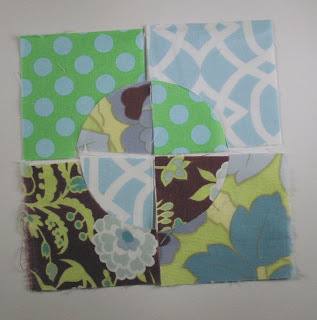 So for instance I would like to have a finished block of 8 inches square. That means I need 4 blocks each measuring 4 inches. 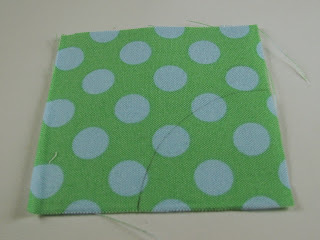 Add seam allowances and I would need 4 squares measuring 4.5 inches. Next add 0.5 - 1 inch to that number. 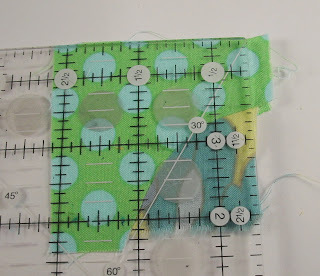 So I need 4 blocks each measuring 5 inches. Next you need a template for your circle. 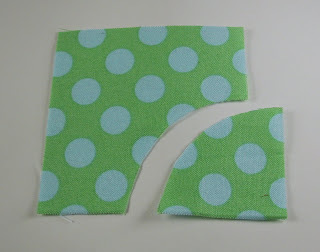 Remember the larger the circle the less background fabric will show and the smaller the circle the more background fabric will show. 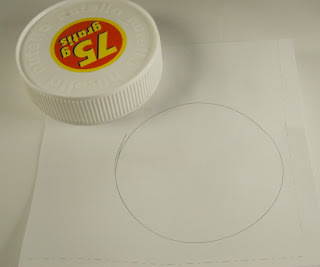 Draw your circle on some paper and cut it out. I am using a Nutella lid for mine. Even more reason to buy Nutella! 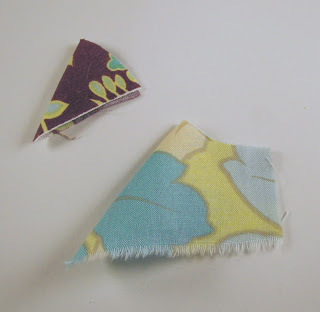 Fold the circle into quarters. Place it on each of the four blocks and draw around. 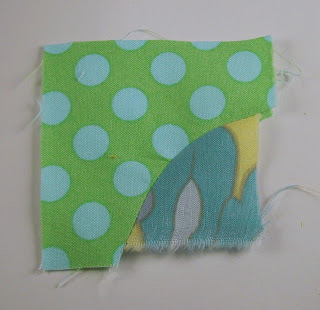 Cut out the quarter circles. 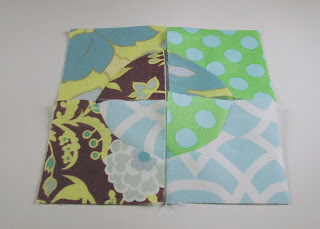 Decide the layout of your block. 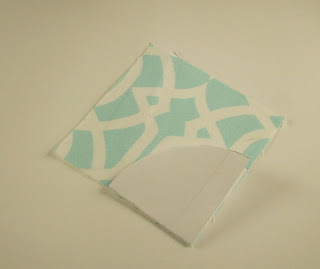 Take one of the 4 squares and fold each piece in half with wrong sides facing. 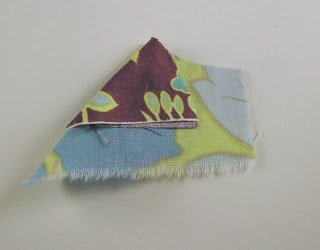 This helps to find the midpoint of each piece in the curved seam. Lie the quarter circle on top of the other piece. 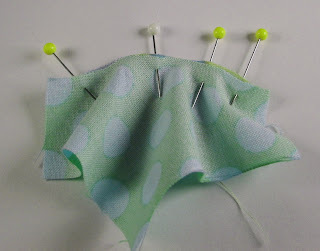 Pin the centre point and open up so right sides are facing. 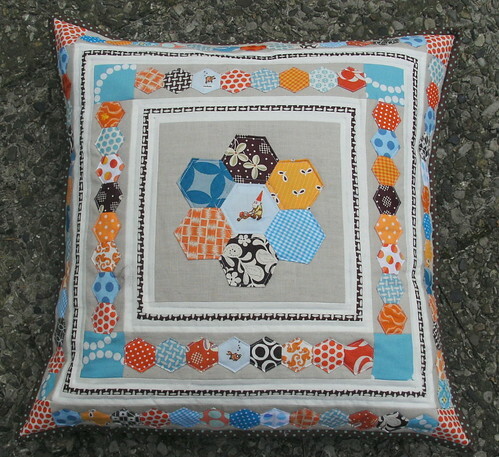 Sew with the quarter circle down and the background fabric on top. 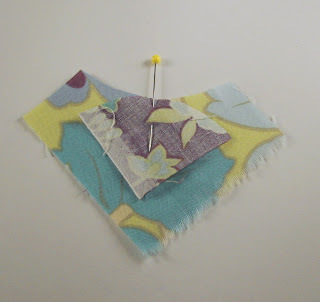 This way you can move the background fabric to avoid tucks. 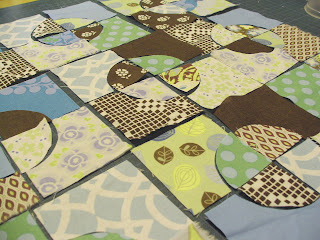 I am not going to show you my finished block as it might or might not be part of my DQS6! 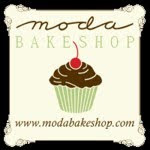 Here is a sneak peek. I am so glad you posted this!!! 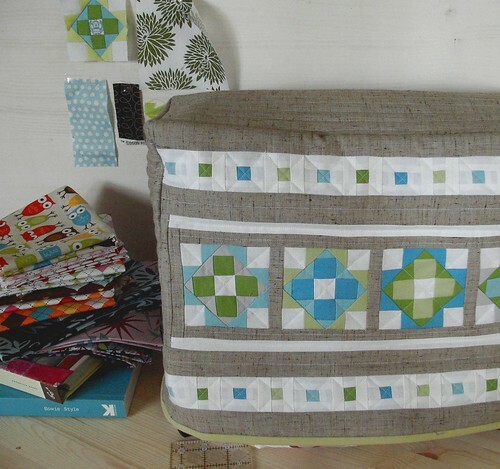 I just love the block you made for me. Circles seemed so scary before. But you have a way of making them be inviting. hehe. 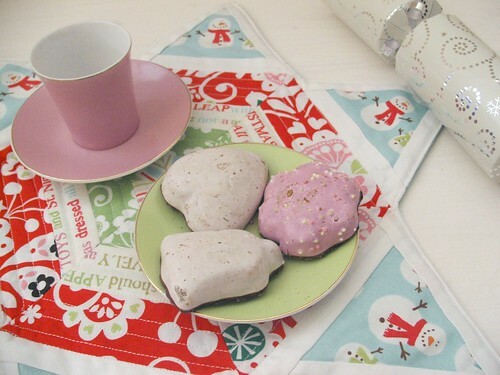 I bet you I will try to make these today! Wow! Fab tutorial! I'm saving this one! Great tute! Thanks for that. I'll have a play at that later today. Great tutorial!! I'm going to have to try this. 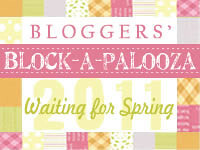 I love all the blocks you've been making - you've been so busy! Very nice tutorial. I've never been brave enough to try circles, but yours looks so neat, I'll have to give it a try. 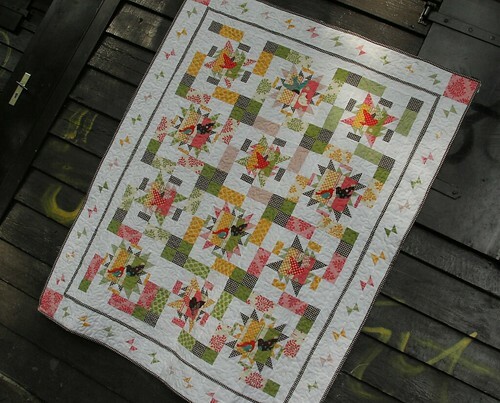 I'm of course bookmarking this for the day that I become daring enough to move beyond the wonky squares. This is very clear, even for the newbies. I'm still afraid of circles, but you seem to make it look quite simple! Ps. the freezer paper just arrived, so I'll pop it in the mail tomorrow. Keep your eyes peeled!!! Tasha, do you really need a reason to buy Nutella? My kids beg me all the time for it and want it in a sandwich with peanut butter... kind of like a reeses peanut butter cup. I like you tut..... mind if I reference it?